Pernod Ricard has launched a limited edition bottle design for Absolut Canada to mark the country's 150th anniversary. To be marketed and distributed by Corby Spirit and Wine, Absolut Canada has partnered with Canadian textile artist Elizabeth Elliott, who is known for her futuristic home textiles and quilt design patterns. The new bottle is intended to convey a message of Canada's history and future. It features a traditional quilt block Maple Leaf artwork and a modern Canada-themed colour palette, with geometric shapes that represents the country’s diversity and a grid to showcase the expansive geography. "Absolut is known globally for its limited edition bottles; everything from cities to countries, to celebrating Pride or Andy Warhol." Corby Spirit and Wine's senior brand manager Vanessa Clarke said: "Absolut is known globally for its limited edition bottles; everything from cities to countries, to celebrating Pride or Andy Warhol. So, we're thrilled to bring a Canada-specific version to market at a time when celebrating our country will be at an all-time high. "Much like Canada, Absolut has a long history of inclusion and innovation, so we're excited to have a bottle that is uniquely ours to reflect those synergies." The limited edition Absolut Canada will be released in the beverage market later this month. 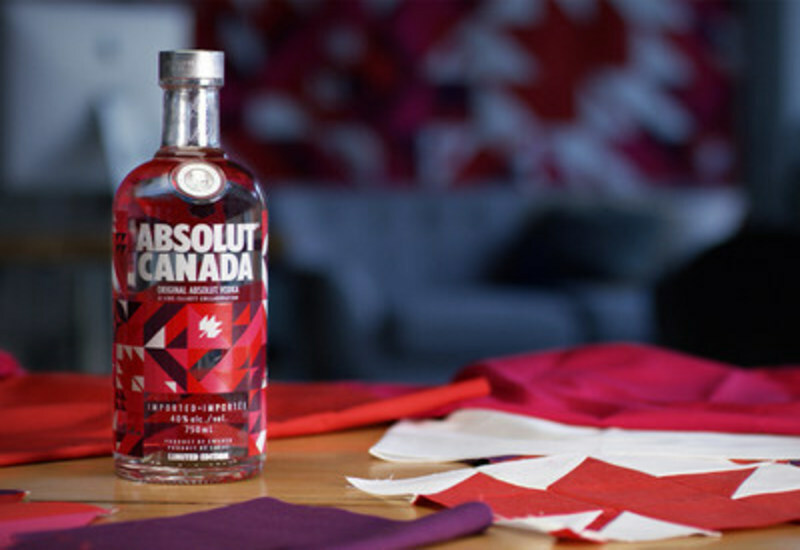 Image: Absolut Vodka celebrates 150 years of Canada by launching Absolut Canada. Photo: courtesy of CNW Group/Corby Spirit and Wine Communications/CNW Group Ltd.